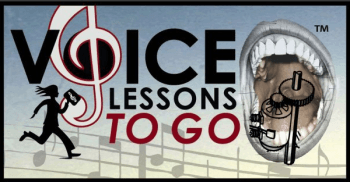 I was wondering if we could do voice lessons via skype — I am based in India currently. I am not looking to be a professional but I would love to be able to sing better and just learn music. Would it be possible to have an initial assessment with you to see how this could work? So nice to hear from you all the way from India. The internet is really amazing. There are two ways you can work with me. 1) Purchase a Vocal Assessment form me- you send me clips of you singing, audio or video with questions and I send you my critics and advice. You can do these on a regular basis if you’d like. 2) Skype or Google Hangouts actual LIVE lessons with me. These are more complicated to schedule since we have such a time difference. If we can figure that part out. It is $50 for half an hour or $100 for an hour to work with me. These can be set up regularly as well (depending on schedule and availability). Here is a link to a blog I wrote about how to sudy with me via the internet.